When I got the email about this book I totally freaked. I have been a huge Maya Banks fan for years. When I got the book in the mail??!! I fell in love, the cover is amazing I loved it and of course the story sounds intriguing. When I got this it as listed a romantic suspense without letting me know there is a hint of paranormal/ psychic mystery involved and when I read that I was even more hooked. As I was reading I kept looking at the few pages left and started freaking out. Like OMiGawd nooo I can't wait for the second book to come out *which is in January 2015* to know what happens. I do want to know more about the brothers, Eliza & Dean, I could really love more from them. The story was action packed and moved quickly. From the beginning we knew once Caleb found her he unleashed something he had no idea was out there. The story resolved well but man I was wondering how long each person will take to know what was happening. The thing that bugged me was why no one else asked who the heck was filming. Simple question right?? There are a few loose ends but I figure the next two books will answer those questions. And I can't wait to see what happens then. I do give trigger warnings for those who need it. I do wish the side characters were more developed and fleshed out, as I'm sure they are going to be integral to the other stories. Even though I loved the story it felt like for a while the main characters weren't completely fleshed out. Things were stated like we knew the characters from other books but since this is a new series that's not possible. 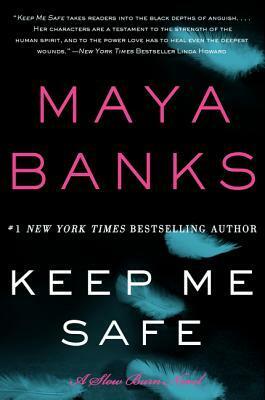 I loved the action and the twists and turns Maya took us on and I can't wait to read the others in the series. This flew by and I enjoyed everything. I don't want to give too detailed a review because anything can be a spoiler, but just know the characters were wonderful, I loved Ramie, she was hurt and hiding from the world and what her powers could do, but she couldn't leave someone else in the kind of hell that she had known. Caleb at first was ruthless simply because he couldn't believe that someone who had her talents would seclude themselves when people needed her. As they grew and learnt more from each other and about each other Caleb began to understand the cost of Ramie's "gift".